Regardless of the outcome of Saturday’s state election in Western Australia, there will be continuing close scrutiny of the roll out of the National Disability Insurance Scheme in that state. Last week there were calls for the WA NDIS to be scrapped in favour of national administration of the whole scheme when details of the WA trial evaluation report was released. There were also calls from within WA for the Commonwealth-state bilateral agreement to be respected and supported. Alison Blake spoke to the Disability Services Commission director general Ron Chalmers about the measures planned to “ensure consistency at a state and national level”. Twelve regional teams will implement the WA NDIS and Chalmers said there would be constant state-wide monitoring of consistency and quality in people’s’ experience of the NDIS as well as outcomes for individuals. Approximately 10,000 people will join the scheme each year over the next three years with an estimated 39,000 expected to be part of the WA NDIS by 2020.
timeframes for plan establishment and reviews in WA NDIS legislation. With regard to planning processes, Chalmers said flexibility would be the key. “People will be able to take as much control as they wish over the planning process, but also receive personalised support if they need it,” Chalmers said. “People can involve their family or anyone close to them in that process if they want to. Many people are also choosing to involve service providers that they know and trust. Local coordinators will approve plans up to $10,000 before higher-level approvals are required from area managers. Chalmers said up to 700 local coordinators would operate on the basis of the WA NDIS rules and apply the lens of reason and necessity with a high level of consistency. “Consistent application of the criteria across the scheme will ensure it is fair and sustainable. This is important to ensure the scheme remains viable so it continues to meet people’s need long into the future,” he said. Chalmers said funding for support coordination would be available when needed and on a case by case basis. “Support coordination can be particularly important for people with complex or challenging situations especially where they are dealing with multiple providers,” he said. With regard to plan reviews, Chalmers said for some people this would be a light touch process where people were happy with their plans and didn’t want or need a comprehensive review, but he said WA NDIS would not set and forget people and that, particularly for more vulnerable people, scheduled reviews were an important safeguard. Based on the results of the NDIS trials in WA, planning activity is expected to peak within the first 12 to 18 months of an area rolling in before moving into more of a consolidation and maintenance mode. Technology will also play an important role in the WA NDIS with plans for a WA NDIS portal including a user-friendly customer interface. “I expect it be as good as or better than the NDIA technology and come with all the bells and whistles to complement our relationship-based approach. It will not include avatars. It will be a people based approach,” Chalmers said. “There is growing evidence that the impersonal, Centrelink style National Disability Insurance Agency model is failing people with disability across the nation. He said WA had signed up for local delivery to ensure people with disability could engage with real people when accessing the scheme. Chalmers was confident the mechanisms being developed to operationalise the WA NDIS were good but he said “they would need to keep being refined”. He said a large scale public event in May would focus on further developing the NDIS in WA in partnership with people with disability, families and carers. A rolling program of community information sessions is underway. Factsheets are posted to the commission’s website and WA NDIS Facebook page. 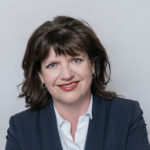 Alison Blake is a freelance contributor and the founder and director of Strategic Supports, a consultancy for the disability and community sector in WA. Except that Chalmers and DSC aren’t citing the correct figures for people with disability in WA. The ABS has the number of people with severe and profound disabilities in WA as 52,600 never mind children looking for early intervention. That’s a significant understatement of numbers and financial oversight. If they haven’t even used a reliable statistical source for their figures, then they are less likely to have other estimations right either.